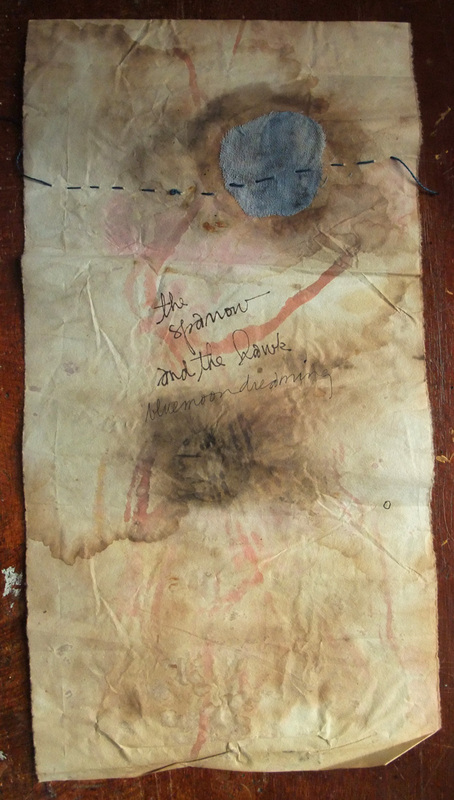 Elizabeth Bunsen made a blue moon talisman for the dream! (((Barry))) the energy here is wild! Wow, so much to take in, beautiful. 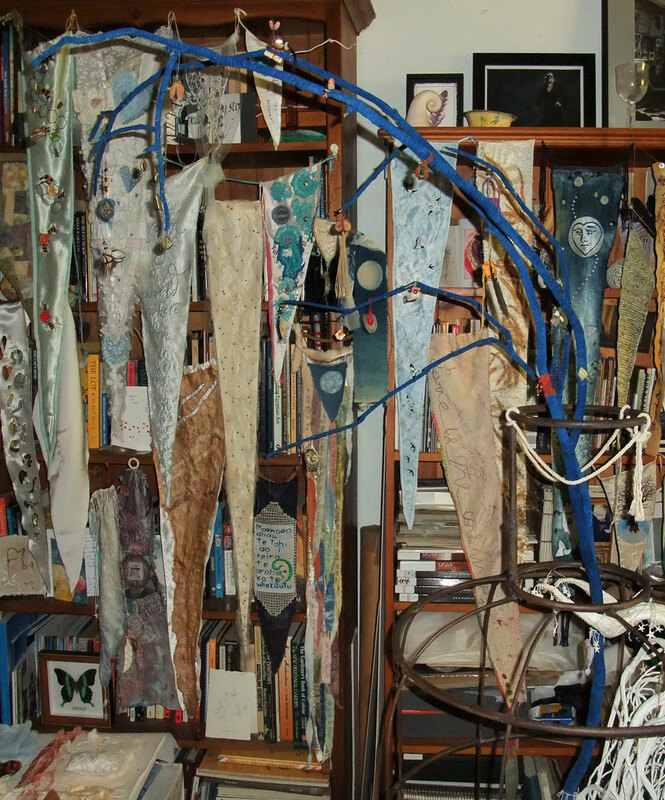 Bones and beads and stones and feathers….all drawn together in blue. 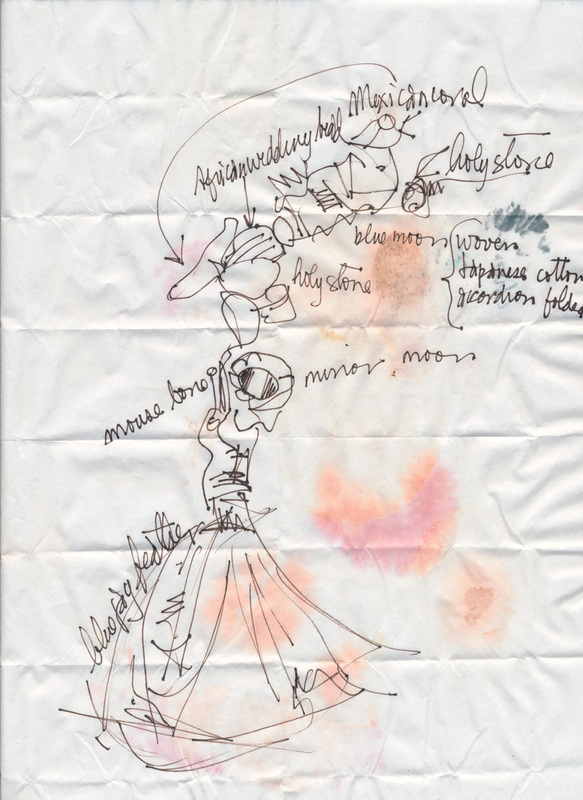 Elizabeth’s talisman has weight and substance yet still manages to seem ethereal. (((Dana))) Elizabeth dances with the light! such kind and magic words!! so happy she made it – yes loaded up with blue moon magic – thank you so much Mo – you’re the best!! A real stunner – and Mo I can only imagine your joy and delight as you open these packages. All wrapped and tied and written and sketched – the whole ‘package’ is always more than the pennant or talisman isn’t it? Must feel fabulous! (((Fiona))) the reveal is a big part of the ritual of this gathering of love, every contribution makes my hair stand on end and gives me goosebumps, these are the most magical days of my life! 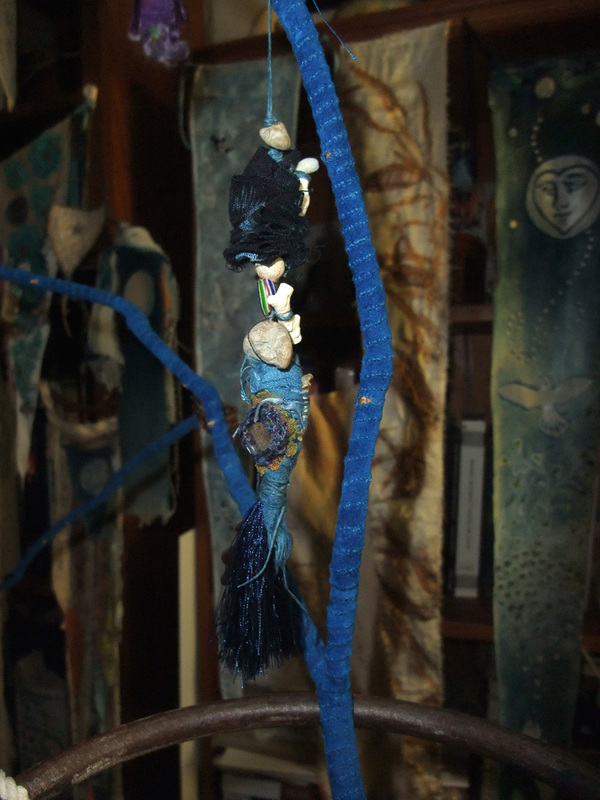 (((Elizabeth))) I have moved your blue moon dreaming talisman to the cloud of tulle along with the other talismans that are too big for the delicacy of the tiny offerings on the blue branch. Will post more photos of where it ends up once I have worked out a beautiful way to attach and detach the tulle from the iron dress form. Liz D’Achille’s magical moon boat just sailed in!